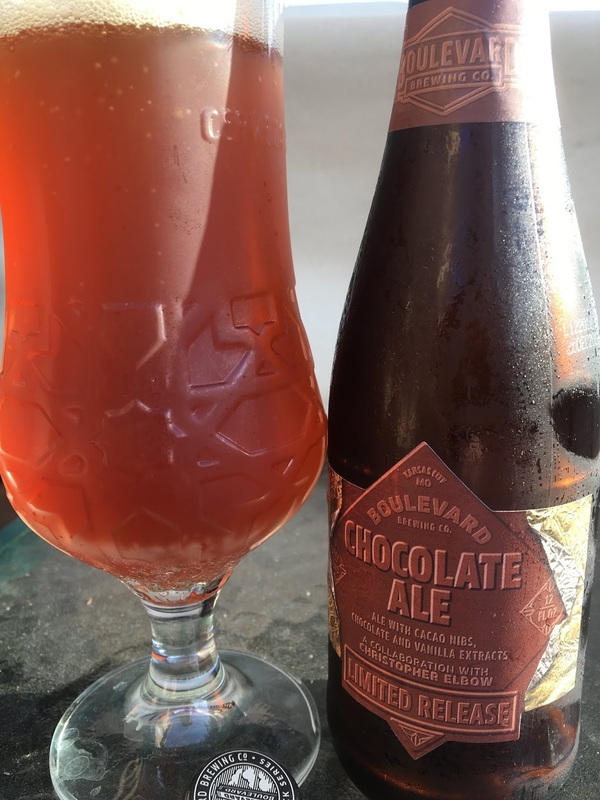 Today I'm checking out Boulevard Chocolate Ale, a Limited Release beer last brewed three years ago. This beer was brewed with cacao nibs, chocolate and vanilla extracts in collaboration with Chocolate Master Christopher Elbow. 8.7% alcohol. 24 IBU. Best By 20DEC2019 Drink 16MAR2019. Sweet chocolate and vanilla aroma, pleasant. Choco-cocoa with hints of caramel come first and sweet. Then a wave of vanilla adds an excellent contrast. Nice little battle between sweet and bitter, with some alcohol bringing out the best of both. Excellent texture, not a big bodied beer. Check it out!